I know…too easy. 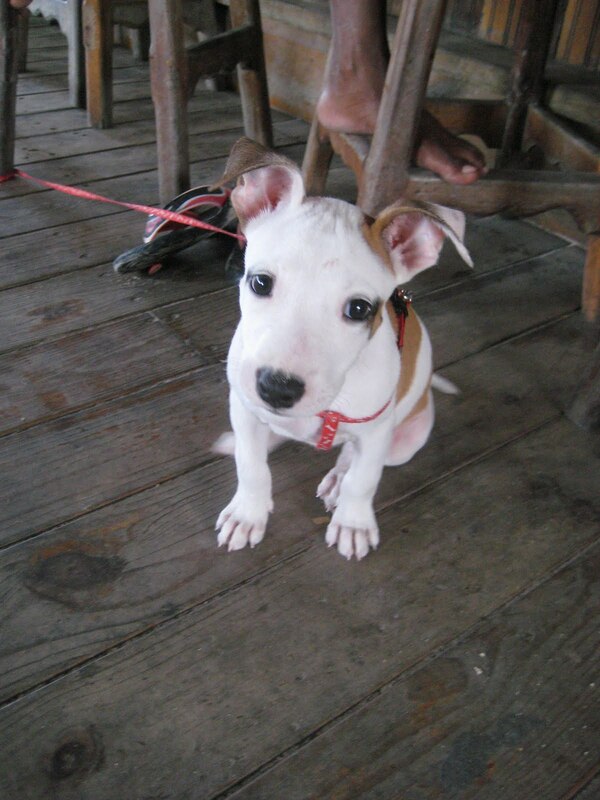 But this sweet heart has been coming into Tacklebox Bar since she was the size of a peanut. 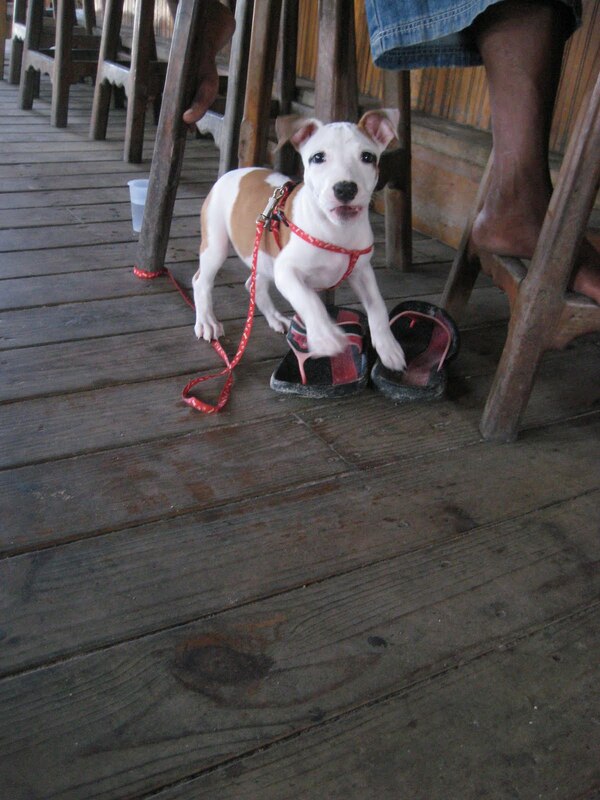 I think she is part pitbull. And she goes CRAZY every time she sees me. I appreciate a dog that recognizes beauty and intelligence. Her owner is a guy named Wicked (probably not the name on his birth certificate but one does not want to be judgemental. I mean perhaps it is an old family name). He works on the dock outside at Aqua Scuba. In about 10 seconds, I was covered in sand, seawater and slobber. So cute. Then she pranced off to do a quick bar search for chicken bones.